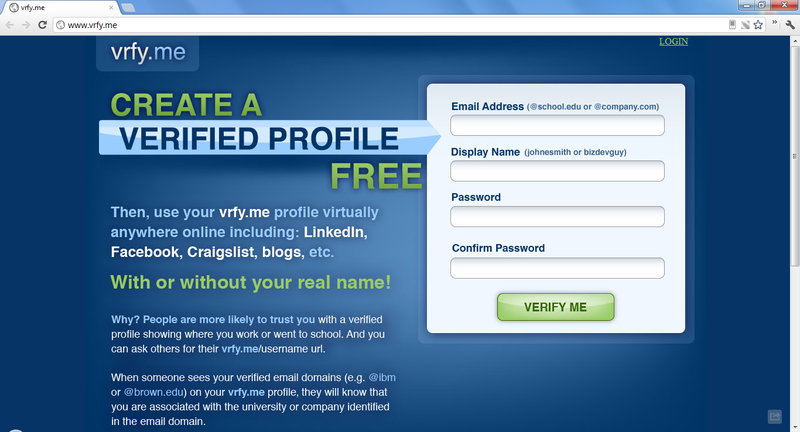 Vrfy.me offers a way to create a simple profile that verifies who you are. With it you can prove your employer, where you go to school, and what companies you own. This is done by verifying your email address and displaying the domain on your profile page where, if you want, you can add your name and bio. Check out my profile here.